James and Claire Taplin host regular dance breaks throughout the year. The dance breaks are always fun and active incorporating morning tuition and evenings dances leaving the afternoons for you to rest or sight see - that part of the holiday is up to you. Choosing a dancing holiday gives you the unique experience of sharing a holiday with like minded people - who all want to earn to dance. The chance to meet new people and make new friends, plus relaxing and enjoying your holiday with the peace of mind that you are being looked after and entertained by your dancing hosts. 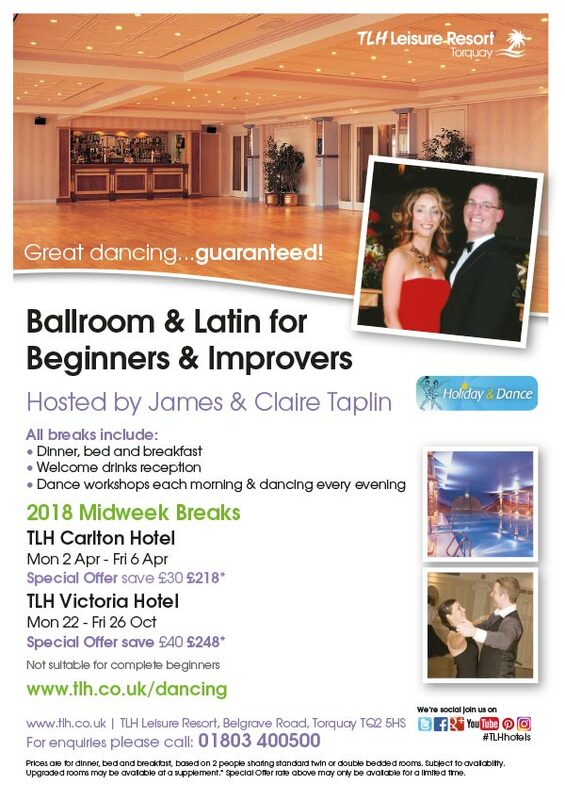 Please see leaflet adjacent and contact us for more information about any of our dance breaks. Please browse our image gallery below for pictures of previous dancing holidays.